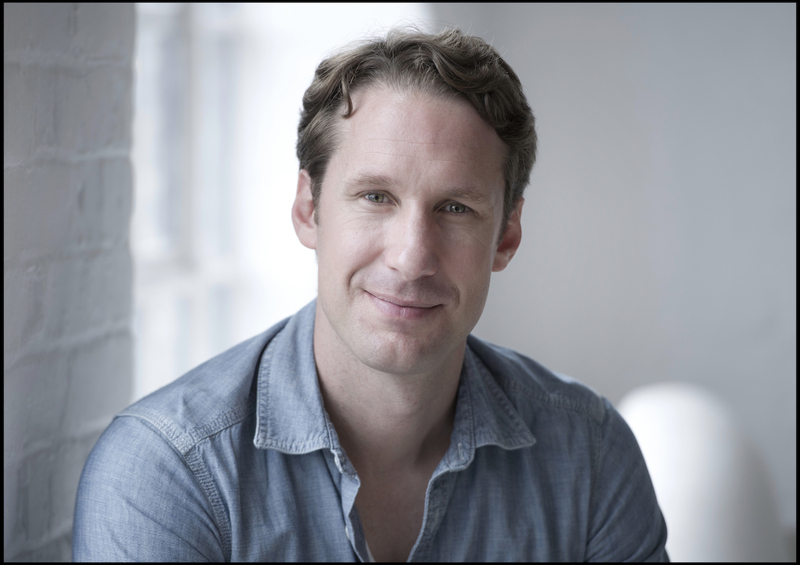 Baritone Jacques Imbrailo will soon be playing Count Almaviva in Minnesota Opera’s production of Mozart’s The Marriage of Figaro (Le nozze di Figaro). Imbrailo, a renowned interpreter of Benjamin Britten’s Billy Budd, took some time out of his busy schedule to discuss his background, The Marriage of Figaro, and his love of the art form. Soon you’ll be playing Count Almaviva in Minnesota Opera’s upcoming production of Mozart’s The Marriage of Figaro. This is one of my favorite operas of all time, and the Count is a wonderful character. A lot of operagoers think of the Count as an angry man. I’ve always thought there’s a lot more to him, though. What’s your take on the character? We first meet the Count in Rossini’s The Barber of Seville where he is certainly not just an angry man, but a very charming man full of hope and dreams of love – a man who goes through all sorts of adventures to win the love of Rosina, who of course is now the Countess. In The Marriage of Figaro, they are both changed or shadows of their former selves. What has changed them? For the Count’s part, I imagine he wears his authority with discomfort. He feels trapped in this life of authority and privilege and in some way is jealous of Figaro and his servants and their lust for life and love. He is also intimidated by Figaro’s wit, charm and, of course, ironically the threat of rebellion to the status quo of privilege that Figaro could represent. His lust after Susanna is as much an infatuation with her as it is an effort of putting Figaro in his place. He still loves the countess in his own way but years of privilege and frustration with his and their status, which leads to his attempts at unfaithfulness over time, has broken down their relationship and caused them to be shells of their former selves to each other. Through the opera, the Count might just see some of the old Rosina he fell in love with, and even though he is at fault of reducing her to a sad and lonely wife, I think at the end we are left with the possibility that the evening’s adventures might just rekindle some spark. As the Count, you get to sing perhaps the most famous lines in the whole opera: “Contessa, perdono!” Describe how the Count really feels at this pivotal moment in the story. Sincere. I think he finally sees how ridiculous his situation is and what he has put the Countess through. I think it is a clear moment for him where everything is in an instant shown to him, his cruelty, his insecurity, his weakness and more importantly the Countess’s grace, suffering, and his remaining love for her. Her gracious forgiveness rocks him to his core and I think he is truly sorry here. Through the opera, the Count might just see some of the old Rosina he fell in love with, and even though he is at fault of reducing her to a sad and lonely wife, I think at the end we are left with the possibility that the evening’s adventures might just rekindle some spark. What is your favorite scene as the Count? The whole of the Act II finale is just glorious. The music is wonderful, the plot is as clever as it is hilarious and everybody is kept on their toes and has to think on their feet, including the audience. I read in your bio that you were a law student some time ago! What made you decide to give up law and pursue opera? I realized after my second year of studies that I had no real interest in the law as a career choice and music was becoming more and more part of my everyday life with singing lessons, a cappella groups and the university choir where I had most of my friends. I also had a wonderful singing teacher, Werner Nel, who was always encouraging me to make singing more than just a hobby. After a terrible tax law exam at the end of my undergraduate law degree I finally made the leap and decided to make a real go of singing and forego the safety net of the law. …there are wonderful teachers, singers and musicians who work in South Africa keeping the flame alive. You grew up and studied in South Africa. What was/is the opera scene like there? Were you surrounded by people who loved opera as much as you did? It used to be a lot better, to be honest. There are still wonderful people working out there trying to keep it alive. Cape Town Opera is a wonderful thriving institution with an amazing chorus, but they are one of the few remaining success stories. Government cuts to funding and mismanagement has unfortunately brought all the other previously successful major companies to their knees. I have been living in the United Kingdom for the last 14 years, so am perhaps not completely up to date with the current scene there, but I have fond memories as a child of going to various operas in all of the big cities in South Africa. Now it does seem that Cape Town is the last one standing. Having said that, there are wonderful teachers, singers and musicians who work in South Africa keeping the flame alive. The success of many young South African singers abroad working and in competitions is testament to the wealth of talent and committed people there. Let’s hope they can survive this drought of funding and South Africa can in the near future again have four or five successful major companies in all the big cities fed by local talent and a supportive audiences. You have established yourself as one of the great interpreters of the title character in Britten’s Billy Budd. Why do you think this role fits you so well? Are there other roles in the repertory that you find particularly well suited to your character, personality, or voice? It is difficult to say why the role seems to fit me very well. I’m not a big, “ripped Barihunk” by any means and as one online reviewer once commented, “he is not good looking enough to play Budd.” In spite of that I have had great success with the role. Being part of great productions has certainly helped. I think I’ve always thought it is Billy’s unique character rather than his muscles which enables him to have such an impact on the people around him and makes it possible for him to “save” Captain Vere. His strength of character, his kindness, his almost childlike honesty and innocence and very importantly also his weakness is so much more interesting than anything else. I think that is what he is about and if you somehow can manage to convey that on stage I think you have almost won the battle. I think Pelléas suits me quite well. Vocally and personality wise it seems to click. I don’t mean at all that I am like either characters myself, but rather that I find it easy to find my way into their minds. My imagination mounds easily to their circumstances. Having said that, I do find Don Giovanni a very satisfactory challenge as well as you have to work really hard to find the dark depths of a man capable of what he does, so it is not a reflection on me as a person but rather characters I enjoy exploring for the various reasons and challenges. Wozzeck – now that would be a gold mine of challenges I would one day like to tackle. You’re quite active in both Europe and the U.S. Which location feels more like “home”? My family and I live in the United Kingdom so for the next few years while we are still part of Europe, I would have to say Europe as that is where I live, but I do love working in the United States. Opera companies are always very kind, professional and hardworking and they treat singers very kindly and warmly. This is not always the case on mainland Europe. I have only had great experiences in the United States and I hope to work here for many years to come. My wife, Cara, and two children, Emilia and John, also love visiting here and love a lot about the United States, so we enjoy coming over here. I just said goodbye to my family today as they flew back to the United Kingdom, and so the first few weeks was spent with them visiting Como Zoo, the Mall of America, Crayola Experience, Stillwater, and even some family in Wisconsin. 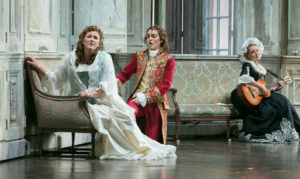 During the run of The Marriage of Figaro in Minnesota, how do you plan to spend your free time? Are there Minnesota events and/or experiences that you’re looking forward to? I just said goodbye to my family today as they flew back to the United Kingdom, and so the first few weeks was spent with them visiting Como Zoo, the Mall of America, Crayola Experience, Stillwater, and even some family in Wisconsin. I hope to spend some more social time with a lovely cast now that my family have gone home and I’ve already enjoyed a few of the very good restaurants here in Minnesota. I’m a Christian and I have found a local church which I’d like to visit on Sundays when I’m not working. I would absolutely love to see a football game if I can, as I’m a big sports fan but have never been to an American Football game yet. I also have a lot of music to learn for upcoming projects, so it can’t be all fun and games. It is a very challenging art form. It encompasses so many arts in music, visual arts, acting, storytelling, rhythm – the list is endless and so are the challenges. It could never be boring as you will work your whole life to get better at doing it and never be satisfied. I love the physical act of singing when I get it right and the childlike freedom of giving flight to your imagination in different characters. Few things move us as music does and to be part of that is a gift.